- Micro grain carbide, form A,B,C,D,E,F,G,H,J,K,L,M,N with YG-1 unique design technology, excellent performance. - Used for eliminating sharp edges on metal surfaces or for eliminating burr and fin or for expanding holes. 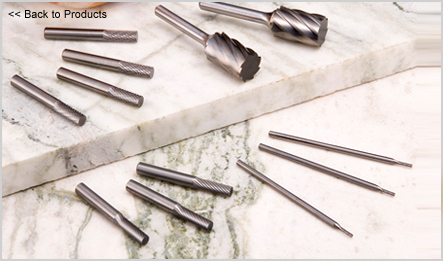 - We offer the rotary burr with Double cut, Plain cut, Aluma cut, Diamond cut and Chip breaker type.